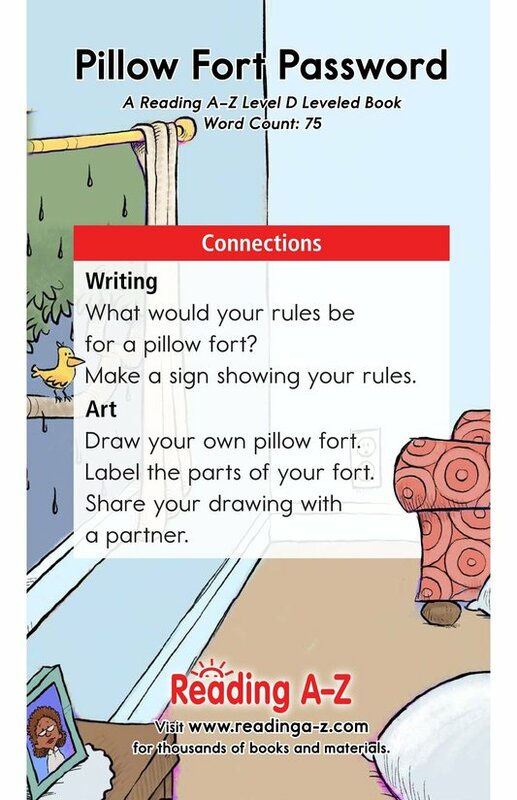 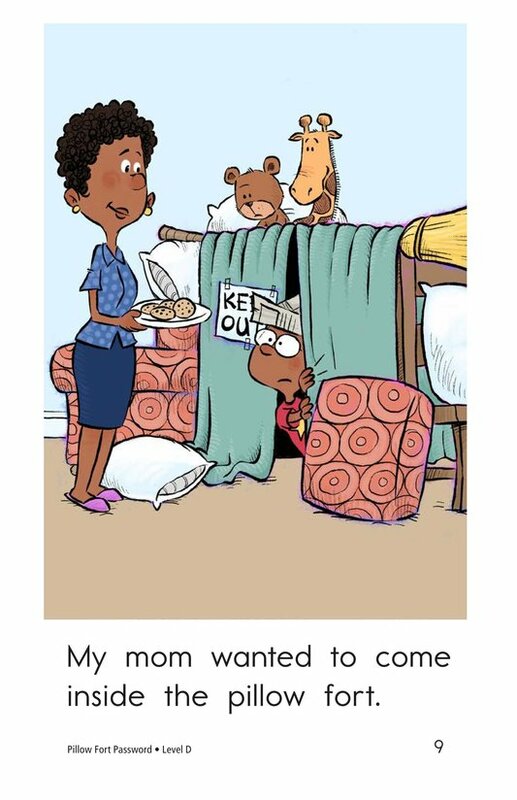 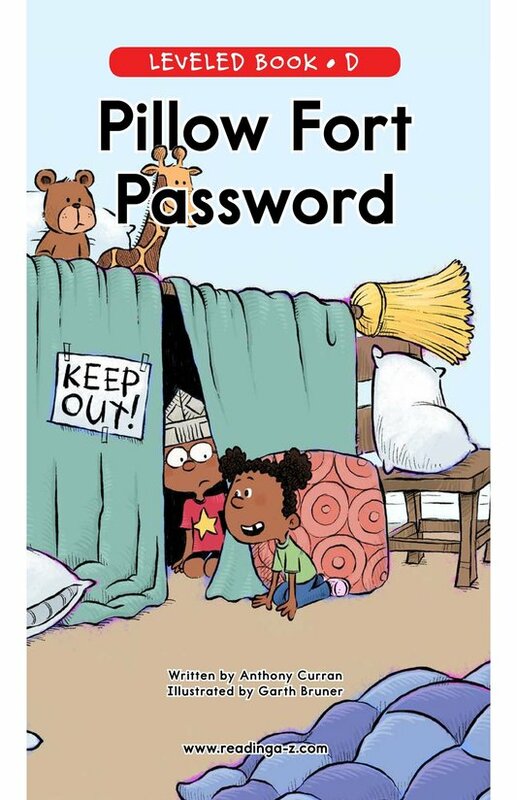 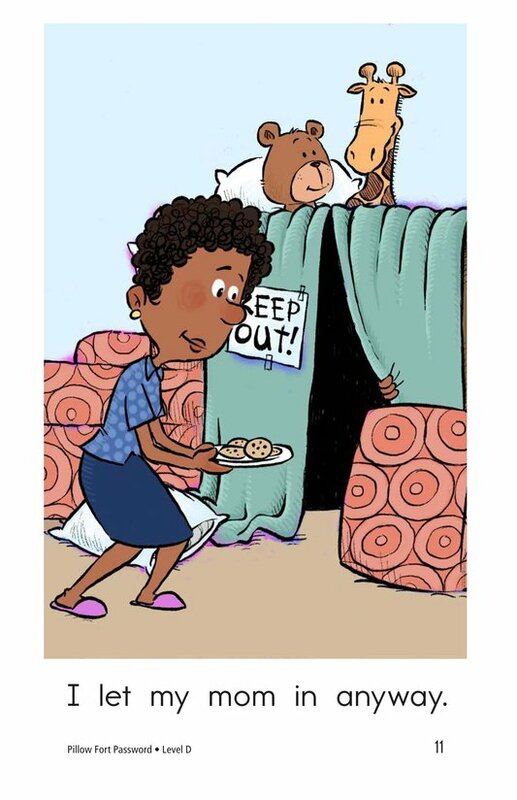 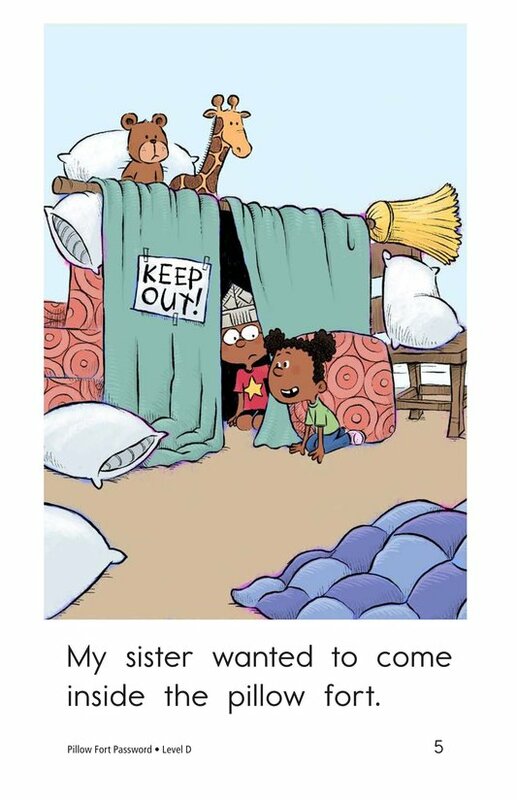 Pillow Fort Password tells the amusing story of a young boy who makes a fort out of pillows and blankets. 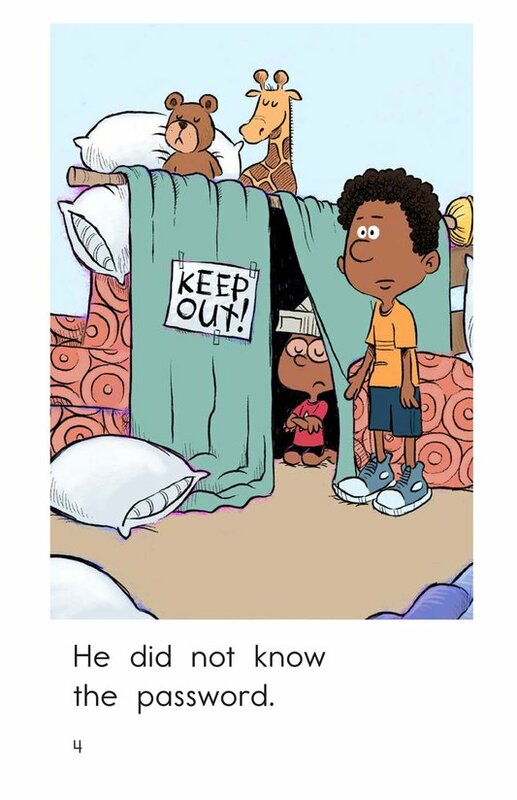 The boy requires a password in order to enter the fort. 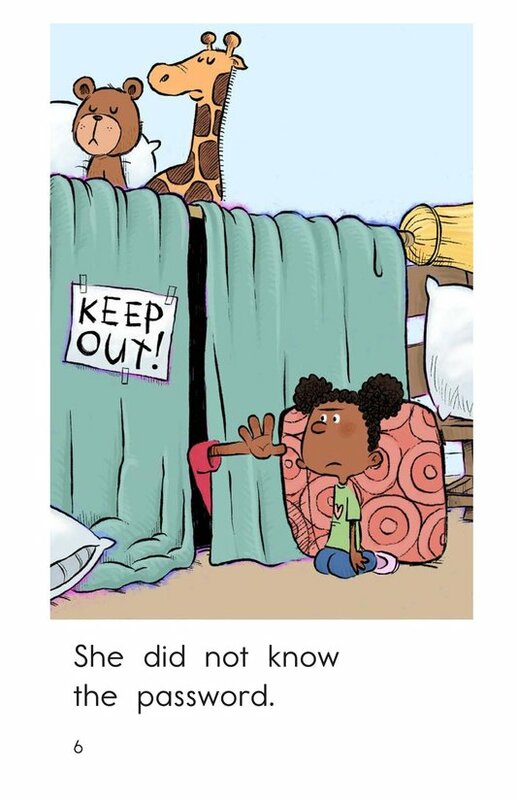 Will anyone be allowed inside? 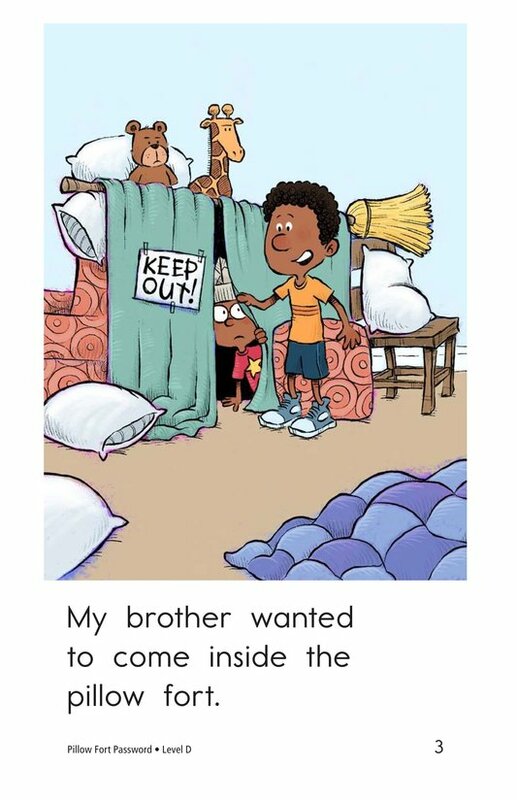 Detailed illustrations and a repetitive text structure support early emergent readers. 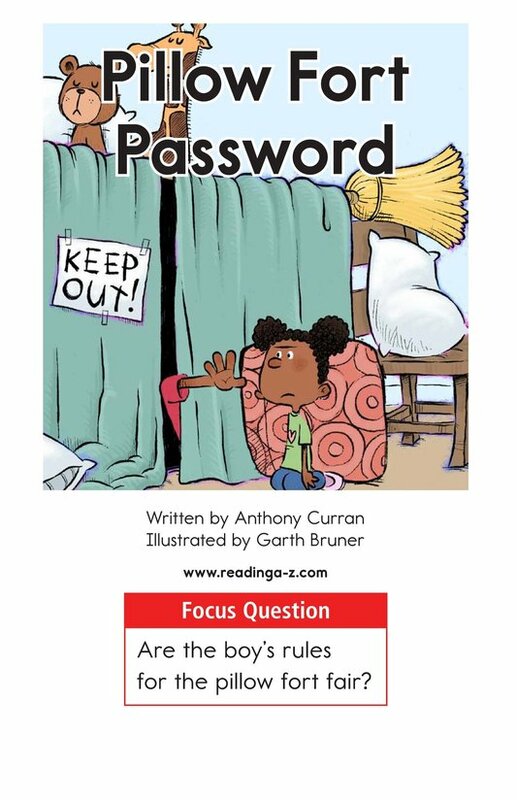 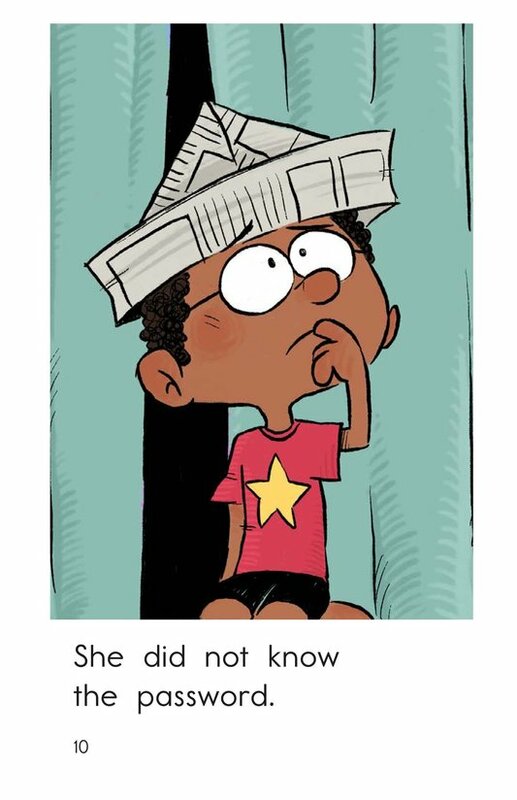 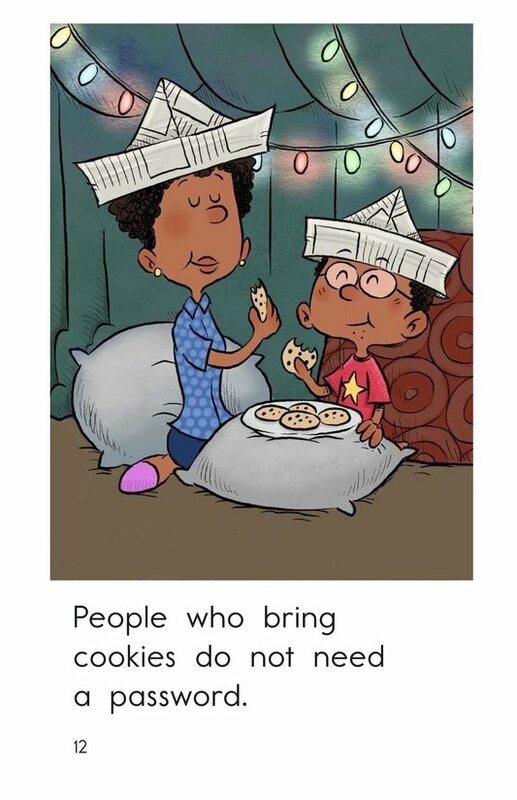 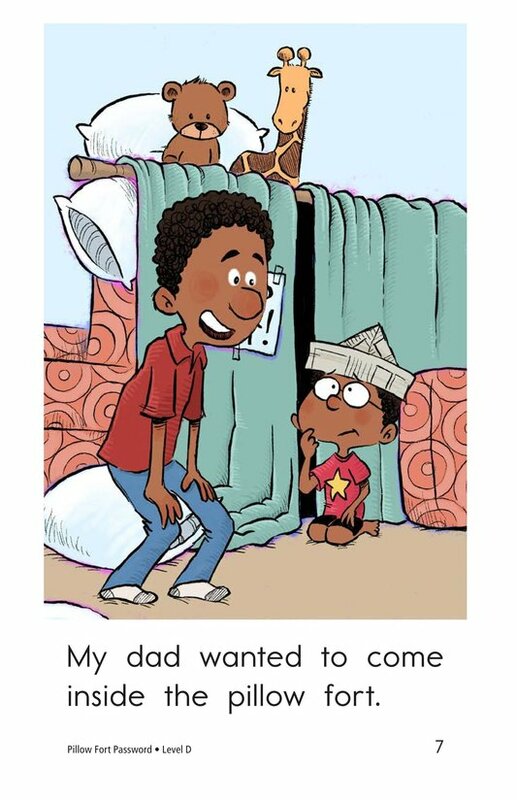 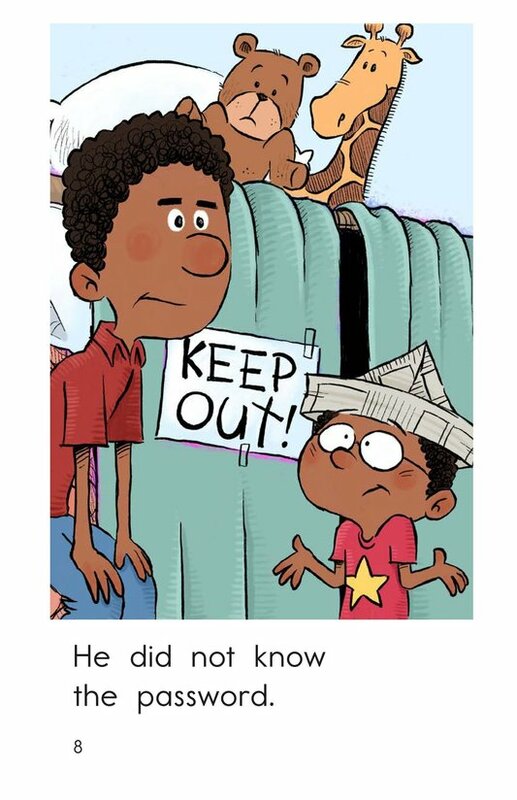 The book can also be used to teach students how to identify characters and setting as well as to connect to prior knowledge to better understand the story.